Downtown and Midtown collide in Midtown South. With the accessability of Midtown and the culture and vibrance of downtown's neighborhoods and nightlife it is no wonder that Midtown South is the most sought after office market in the nation. Access to the A-C-E, 1-2-3, 4-5-6, N-Q-R, PATH and L trains gives the day population in Midtown South one of the easiest commutes in the city. With its vibrant surrounding neighborhoods most live within minutes of the same buildings in which they work. 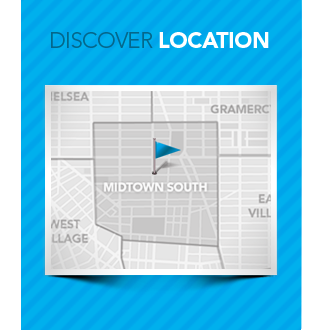 Midtown South is a place to Live, Work and Play. Time Equities, Inc. Home in Midtown South. 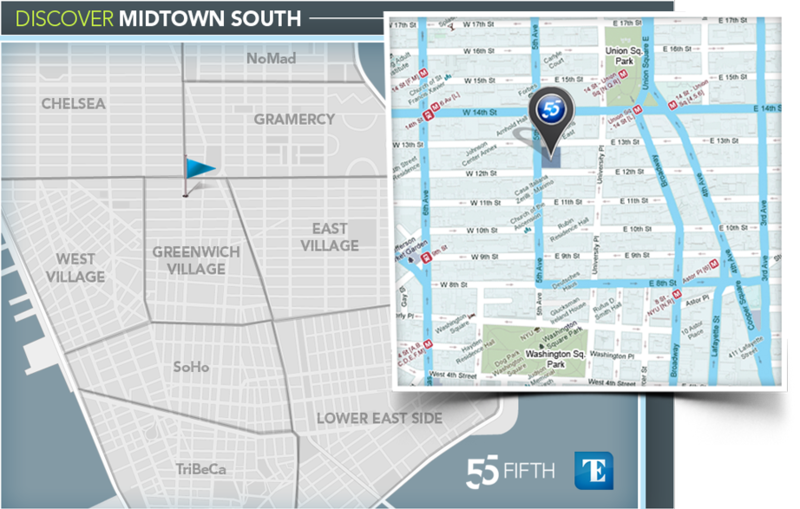 55 Fifth Avenue is a quintessential Midtown South Modern Office Building. 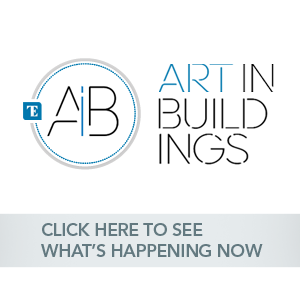 Completed in 1910 and designed by architects Maynicke and Franke the building is a Beaux-Arts masterpiece.